Phone maker Sony Ericsson has been struggling to retain marketshare in recent years, losing the smartphone battle to the likes of the iPhone and BlackBerry devices. However, the company managed a slight uptick in sales during the fourth quarter of 2009 (moving 14.6 million phones, half a million more than the previous quarter). Now, the company has announced the Aspen, a new smartphone aimed at the BlackBerry crowd. 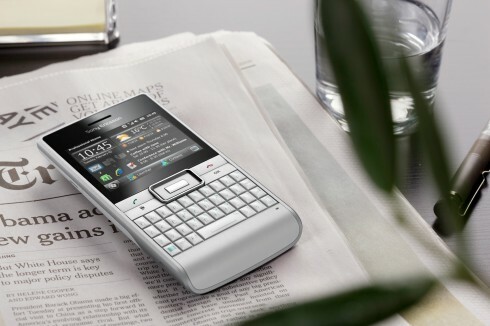 The Aspen sports Windows Mobile 6.5.3 and a full QWERTY keypad for those heavy business and messaging users: the phone is also part of Sony Ericsson’s GreenHeart portfolio of more environmentally-friendly products. The Aspen features a 3.2 megapixel camera, and a 2.4-inch 240 by 320-pixel LCD display. The phone also features assisted GPS, Bluetooth, Wi-Fi, and mini-USB connectivity, plus a plethora of software to help people keep up with Facebook and Twitter, stay in touch with Skype, find where they’re going with Google Maps, and much more. Being a Windows Mobile phone, the device features mobile versions of Microsoft’s mainstream Office productivity applications as well as Internet Explorer; it can also integrate with Exchange-based services for email, contacts, calendar info, and more so folks never have to lose touch with their businesses. The Aspen will support HSPA 900/2100 and EDGE 850/900/1800/1900, along with HSPA 850/900/2100 and EDGE 850/900/1800/1900. A downside to the Aspen is that it uses a resistive touchscreen display that doesn’t support multitouch gestures: no pinching to zoom. And, of course, the phone is running Windows Mobile 6.5.3: if you need mobile Office apps and Exchange connectivity, it’s a solid bet, but Windows Mobile has been losing market share to things like the iPhone, BlackBerry, and Android: the Windows Mobile community is looking to Microsoft to do great things with Windows Mobile 7, due later this year. Sony Ericsson plans to start shipping the Aspen in selected markets during the second quarter of 2010; no pricing has been announced.